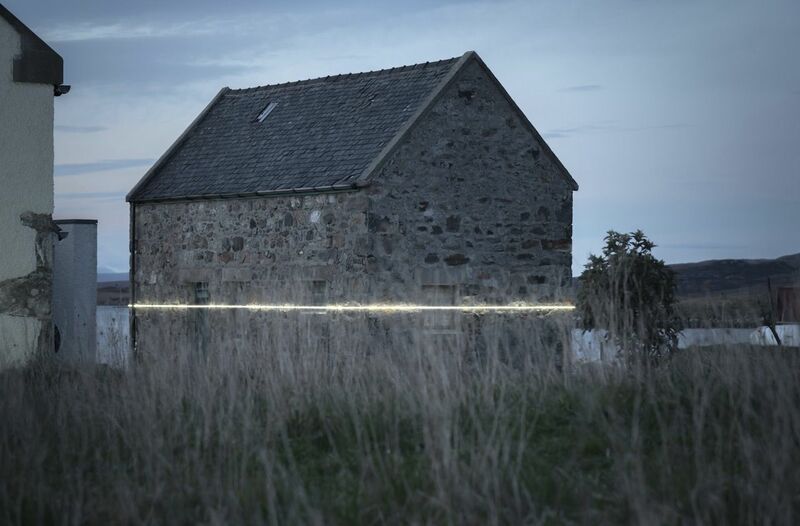 Inventive light installations, such as the new Van Gogh exhibits in Paris or the Tokyo Digital Art Museum, tend to be inspiring sights, but this one has a less cheerful, more cautionary message. 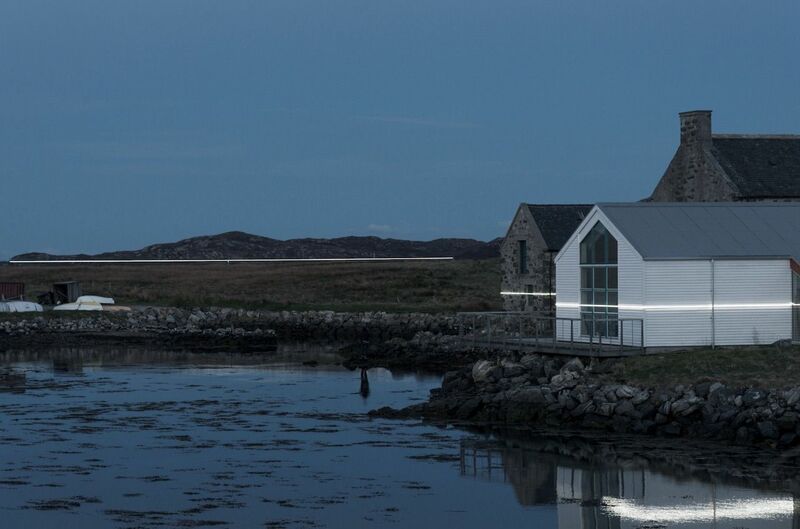 Lines (57° 59′ N, 7° 16’W), a light installation on the Outer Hebrides island of Lochmaddy, Scotland, gives a visual representation of how much the sea level will rise if global warming continues at its current rate. 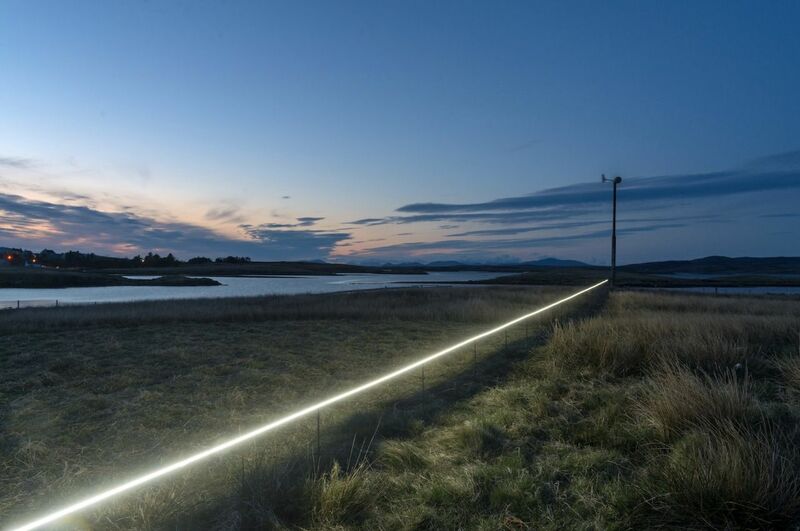 Three synchronized installations of light were set up using sensors that track the rising tide and project light across the surrounding landscape. 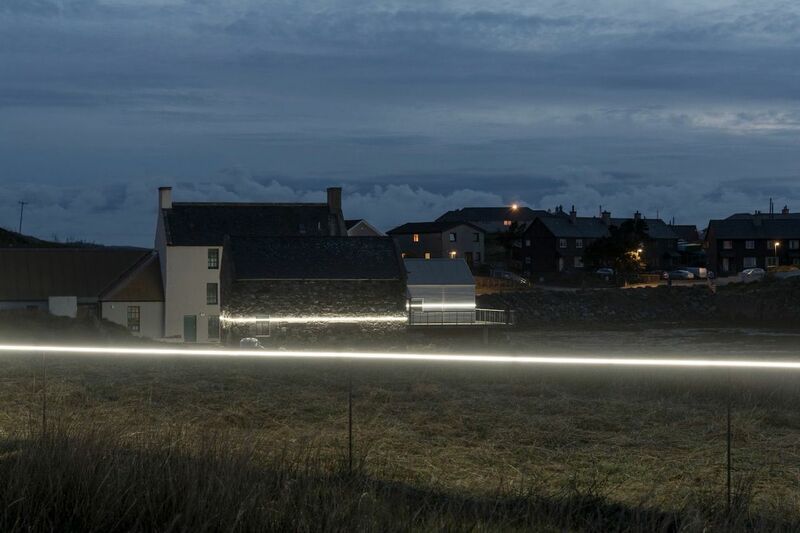 The line of light is intended to show the future sea levels at high tide.